Every car owner loves it when their vehicle has that showroom shine, gained after many hours of meticulous care and attention to detail. Unfortunately, all of that effort inevitably leads to Tired very sore arms and most of the day spent on that one aspect. Luckily there are other options out there, and now it’s easy to get that sparkling finish any time you want. One of those options is taking the car to a detailer, and hope that they were professional enough to not damage the precious paint. That’s expensive though, especially if you hope to maintain it, and those guys just use electric and pneumatic buffers to get those results, so why not spend a few dollars for one of those tools, and do it yourself? Now, keep in mind that there is a bit of a learning curve, and not everyone masters the skin right away. On top of that, how do you know which buffer to get? Well, you’re in luck, for two key reasons. Today, there’s a wide variety of awesome car buffers out there just waiting to be used, and each of them is more than capable of giving a top-notch finish. The second reason is that most of those awesome buffers have been compiled here in one convenient buying guide. Now, in order to get the most out of this guide and hopefully settle on the last buffer you’ll ever need to buy, you should take a second to figure out exactly what you need. Once that’s out of the way, then you can start really digging into what makes each of these buffers work so well. All of them are at the top of their game, and watch would be a smart buy. That being said, some car buffers are better than others for particular situations, so jump in, do the research, and let’s see what we can find. This powerful car buffer is definitely a very solid offering by itself, but it also happens to be backed by DEWALT’s long-standing reputation uncompromising excellence, which is a key reason that this buffer shows up at the top of the list. 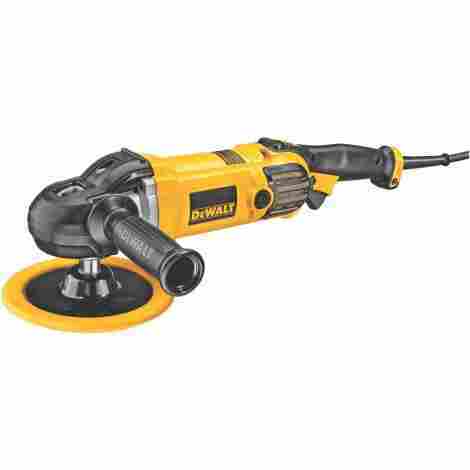 this DEWALT Polisher is an automotive powerhouse that takes its job very seriously, and caters to anyone looking for pure performance, and doesn’t worry so much about appearance. Professional quality and reliability is now easily accessible for any car buff out there, all thanks to DeWalt and this beautiful machine. DeWalt is very well-known as a manufacturer of very high-end, premium machines. Another quality that makes them famous is their continuous habit of offering these amazing products at a very affordable price, letting even average car owners own a top-of-the-line piece of equipment without having to be certified mechanics. Combining an abundance of both power and finesse, this beast of a machine can tackle just about every detailing job. In fact, it can even be used for metal finishing, detailing boats, and more. On top of that, although it has plenty of power, this model is actually designed to provide that output at a much lower RPM than others, offering superior handling and superior results. This buffer looks and acts just like a model that used by professional auto detailers everywhere. That’s because it is, and the results it produces time and time again prove that fact. Now, with a machine that is vouched for by professionals, the cost must be pretty high, right? Not really. Sure, it’s not cheap and will set you back a few dollars, but for that kind of performance, it’s worth every penny. This is one of those automotive tools that is found almost in more homes than in garages and detailing shops, because it is so highly coveted by car owners around the country that they are willing to put out a bit more money for this excellent buffer. Porter-Cable’s hallmark is this baby right here, and it is definitely worthy of a place of honor anywhere cars exist. Add in the low price-point and this buffer is an essential piece of equipment that everybody should take a look at. This buffer is now the industry-standard and has proven time and again to be a versatile, safe, reliable, and highly effective tool for properly applying and breaking down polishes. With a lower cost, but even greater performance and features than competitor models, the new and improved Porter-Cable car buffer stands above almost everybody else. The latest version of this particular buffer features an upgraded motor that creates faster orbiting speeds that allows the machine to reach 6,800 oscillations per minute, providing a huge increase over the other similar models, which just so happens to be the perfect OPM for deep polishing and scratch removal. This larger motor also allows users to apply much more pressure without having to worry about overheating or burning out the motor. This buffer is a common sight in body shops due to it being so well made and reliable, and it’s becoming more and more common in home garages thanks largely to is low price point. That’s right, one of the most popular, and arguably best car buffers available on the market today is also one of the most affordable products money can buy. A fairly inexpensive car buffer that performs at a high level is kind of the name of the game with this list, but if you’re in the market for a car buffer with a lot of guts, then Milwaukee is the brand to look at. Milwaukee has been doing this for a very long time, and they’ve learned a few things about making trusted tools for the working man that will hold up to all kinds of abuse. All that knowledge is front and center in this buffer. Its virtually indestructible design is going to make sure it’s around for a long time, and it may even last through generations. The Milwaukee 5460 utilizes the same tried and true design aspects as the much loved 5440 model, all while giving the overall product a slight enhancement. Classic features, such as a strong motor and variable-speed trigger are still present, with the added boost of up to 2,800 RPM. Honoring its rich heritage while keeping an eye on innovation is why Milwaukee is still around today. Car buffers aren’t for everyone. Sure, they don’t seem that difficult to use, and they aren’t, but some people just get intimidated by anything automotive. That’s why this buffer from Milwaukee is such a welcome product. They took care to make sure that it’s even easier to use than the most simple models, providing an excellent jumping in point for every car owner. 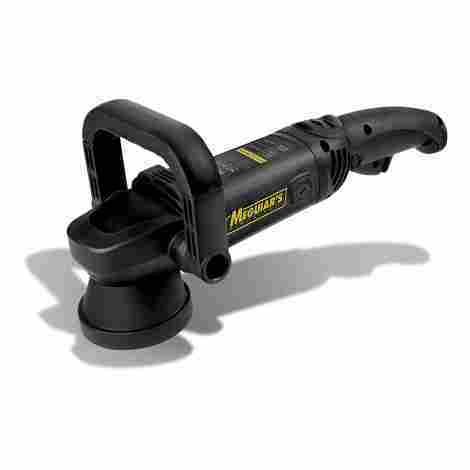 For all of its forward thinking design and innovations over trusted Milwaukee products of the past, this car buffer is going to cost a significant amount of money, especially compared to similar models that offer a bit more in the way of features. Still, if it’s proven quality that you’re looking for, it becomes a lot easier to justify the cost. Every once in awhile, in any given industry, you’ll find a company that seemingly comes from nowhere to challenge the leaders of the pack, and it works. These newer brands bring innovation and quality not seen for a long time. 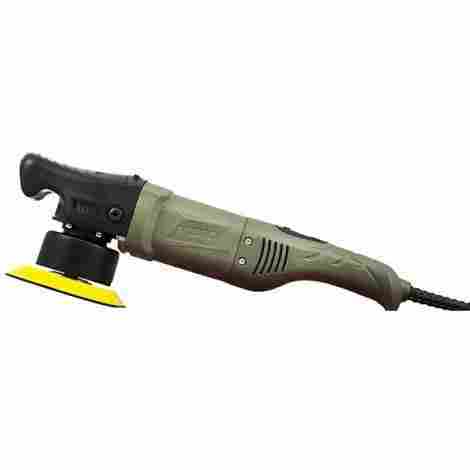 When it comes to orbital car polishers, this excellent model from Griot’s might be the best random orbital polisher that any car owner can hope to buy. Compared to some of the more well-known buffers out there, the easy operation and flawless performance of this baby is second to none. A sleek design and improved ergonomics, make this a car buffer that can easily compete for the top spot an any best of list. This Buffer is very safe to use with a smart design, and is he definition of a workhorse. Given it’s random orbital nature, it's virtually impossible tor accidentally damage your car’s precious paint. On top of that, the 850-watt motor has just the right amount of torque to conquer any polishing task. It also comes equipped with a multiple speed dial, allowing you to polish at the perfect speed for any application. For a perfect balance of performance and safe operation, look no further. Not only is this buffer going to give excellent performance, especially for a relatively low price, but it’s also going to produce more than enough maximum torque to get the job done every single time without even thinking about slowing down for a second. Griott’s Garage wanted to deliver a buffer to the masses that has everything the most seasoned professional would look for, all in a smartly designed package that any home garage should never be without. To achieve this, they were able to stick to a very reasonable price, so there really are no more excuses to not have one. Just because Meguiar doesn’t show up here elsewhere, don’t think for a second that their products belong anywhere but up there among the best the market has to offer. Their reputation precedes them, and this buffer is taken out to play, everybody in the room will nod in instant approval. Since there had to be one in thi guide, why not choose the best of what they have to offer? It has all of the power needed for a professional finish, with more user-friendly features like the ergonomic handle, so this buffer is perfect for any user. This buffer uses a proprietary Digital Torque Management system that uses a circuit to automatically sense and adjust the maximum torque being used in order to ensure that the right amount of power is being used at exactly the right time. Never waste energy again. The entire platform this buffer runs on has been ergonomically designed to provide users with hours of continuous use without having to stop and rest their hands from all of the strain and stress. Being easy to use is as important a feature as any other one out there. Whenever there’s a chance to obtain a professional grade product for a price point that rivals some of the most cost-effective choices on the market, by all means do not hesitate for even a second. All of that power and performance tucked in to a value packed shell offers just one more reason to make the switch to a car buffer. 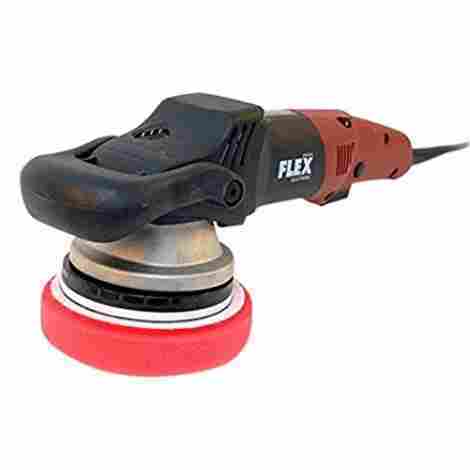 The FLEX XC 3401 VRG Orbital Car Polisher is one of the absolute best car buffers out there, for way too many reasons to list. It’s packed with smart design features, such as a responsive and easy-to-use trigger that allows you to operate the buffer at virtually any OPM you want, and the trigger lock allows the speed to be set, which is ideal for bigger jobs. 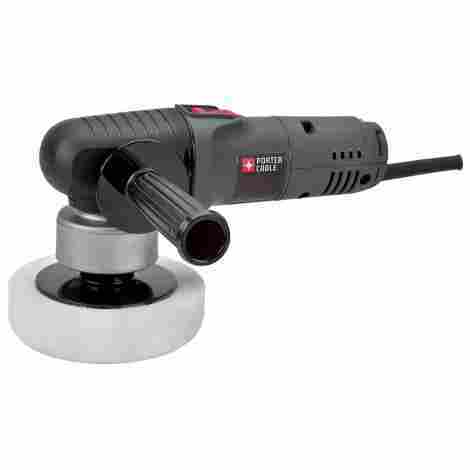 The best part about all of this though, is the FLEX XC 3401 VRG Orbital Car Polisher comes equipped with a high output motor that produces more power than the best models out there. As if an incredibly strong motor wasn’t enough, FLEX built this car buffer with a number of other innovative features that make it one of the best car buffers out there. With technology like microprocessor electronics, a variable speed selector, and an easy-to-use trigger switch, this buffer will likely be the last one you ever buy..
FLEX put together a buffer that has a lot of visual appeal, but at the same time offers the pinnacle of functionality. Comfort, performance and versatility were made the focal point of this buffer, and just by looking at the design, it’s safe to say that it meets and exceeds all that criteria. 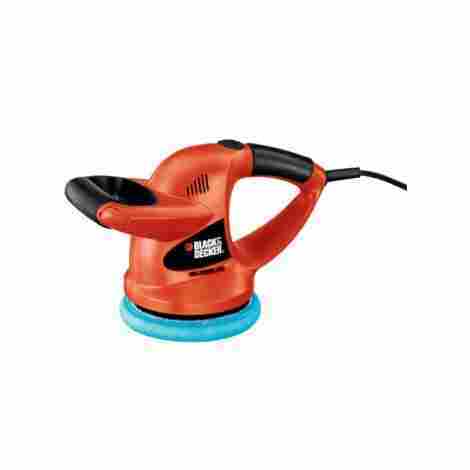 Blowing the lid off of the price and performance categories, the FLEX XC 3401 VRG Orbital Car Polisher is a professional car buffer that performs right up there with the best of the best, yet somehow the manufacturers at Flex managers to find a way to put a very reasonable price tag on it. This is a purpose-built tool that will bring your car back to life and give it a shine that rivals the best detailing shops, and won’t break the bank while doing it. Torq happens to make some of the very best orbital polishers on the market today, and this time they really upped their game by putting together a complete kit to take care of step to making your car sparkle. Not only are you getting a top-of-the-line quality polisher, but you also get nine other items to get you started right out of the box. With plenty of plates, pads, and polishes, users should be good to for a good chunk of time without having to worry about not having what they need. Buffers need to have a lot of power to be able to get all the scratches out of the paint’s surface, and all that power has to go somewhere. Usually, that means a lot of vibrating on the hands and arms of the user, leaving them tired and sore after just a few minutes. With this option from Torq, all that vibration is negated quite a bit, allowing for longer use and less inconvenience. Talk about the second most important feature or aspect of the product. You can be specific. This This is one of the few polishing kits on the market that is worth considering. Most car owners are pretty particular about what they use, so for one brand to put together a kit that contains everything they would use otherwise takes a lot of foresight and knowledge of the industry. These are both things that Torque has a lot of, and it shows in this very inclusive kit. Comparatively, this polishing kit goes toe to toe with the lowest priced models, and it still somehow manages to give so much more than any of them can hope to match. Out of all of the buffers on the market, this one provides the greatest amount of value, hands down. Even without the extra nine pieces, this would be a must-own product. This buffer from Ryobi isn’t a kit, but is part of their One+ line of cordless power tools. This line has become famous for providing power that comes pretty close to that of traditional models, all while running off of a battery that is used for every product in the line. This cross compatibility is rarely seen in car buffers, but provides a lot of versatility and staying power that other cordless products just can’t offer. Pop in a battery, get the job started, and when the battery runs out, slap in a new one and keep on going. Those bigger jobs are a breeze now. 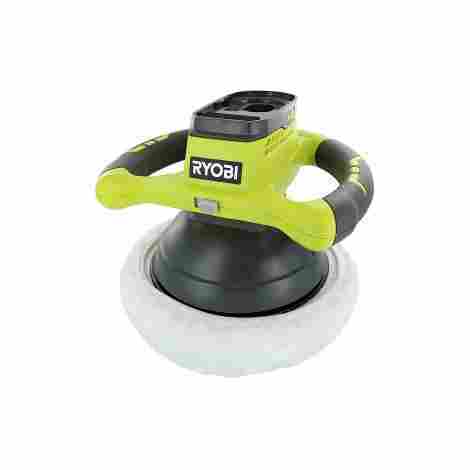 Ryobi covered the handles of this buffer with a rubberized molded cover, which lends long-lasting grip that won’t falter, even on the toughest jobs. Better yet, in the case that water gets involved, this grip will still be holding tight, so slip ups are pretty much unheard of. This is a feature that needs to be mentioned many times over: this buffer is cheap. While that isn’t always a good thing, in this case, cheap is only referring to the price, and in no way indicates quality. It may not be able to compete with rotary models, but for what you pay, you get more than enough performance to get the job done. One of the most defining characteristics of Ryobi’s One+ power tools is the incredible price. Nothing in the line is remotely expensive, yet they all offer professional grade performance to those who may otherwise not have much access to it. This buffer is lightweight and powerful, and is the perfect compliment to any home garage. Makita, a giant in the world of power tools, comes in with an offering that, unsurprisingly, is a well-made, reliable piece of equipment that would look good in any garage. While it doesn’t bring anything new to the table, it shouldn’t have to. After generations of making hard working power tools, Makita is sought after by experts and novices alike because they are so dependable. With so many choices out there, all promising something different, sometimes all you really need is a tool that is going to do the well, and keep doing that job for years to come, nothing more. This is a corded model that plugs in to a power source in order to work, and as a result, it packs a hefty ten amps to get you through the toughest and longest jobs you can think of, without falling victim to any lag or slow down in the middle of working. When a power tool ha this much power, sometimes things can get a little bit uncomfortable, especially after a long period of continuous use. Makita sought to fix that problem by incorporating features meant to alleviate hand strain, such as a lock on trigger that once enabled, will keep the machine going indefinitely, as well as an ergonomic handle that fits the natural shape of the hand and just feels right. Just like this buffer isn’t going to hold any surprises in the way of features and innovations, the price isn’t going to shock anybody, nor will it turn any heads. Not the cheapest out there, but by far not the most expensive. Plus, when you take in to account all the Makita quality that you are getting, the value alone is enough to justify a purchase. This is a good choice to end on, since Black and Decker has long been one of the most trusted names in home improvement. Many consumers grew up seeing the brand in their home in some capacity, and will instantly recognize the name and iconic orange housing. That puts heavy expectations on this buffer to perform, and luckily it’s more than up to the task. Putting lightweight, affordable power in the palm of your hands is what Black and Decker is all about. Black and Decker is a name synonymous with power tools, just like it has been for decades. With a reputation like that, you’d expect them to make tools that will last for years to come, and you’d be right. Despite all the clutter of buffers on the market to choose from, it’s good to see a name that that you can depend on. Have you ever seen a Black and Decker product that is going to break the bank? Probably not, since they don’t seem to make a habit of putting out products that aren’t accessible to every consumer. Instead, the focus seems to be on making high quality tools that are perfect for the home and garage, and offer excellent value at a low price. See how different each specific style of buffer really is? Everything that’s been mentioned up to this point is barely even scratching the surface of what each one does, or why you should go with a particular type. That’s where determining needs before looking for a buffer is such an important step. Each style of buffer brings a different level of performance to the table, suiting every need that could ever arise. Whether it’s a professional level finish or just a nice-looking paint job that takes minimal effort, there exists the perfect buffer for everybody. If this buying guide did its job correctly, then all of those perfect buffers are contained somewhere on the list. So, armed now with everything needed to make an informed choice, go out and see what the world of car buffers has to offer. When shopping for car buffers, Consumers will quickly notice a wealth of rotary, orbital, and dual-action models. All of them perform their functions very well, but each individual buffer has some significant differences. Below is a brief rundown on what makes each type distinct. 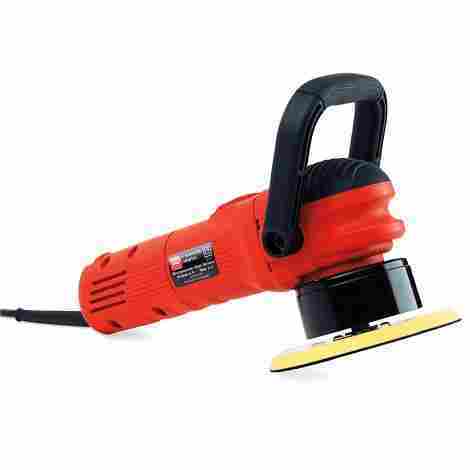 Beginning with the rotary buffer, these are typically the go-to version for detailing professionals, due mainly to their significant power and precision. Because of their superiority in these areas, they are excellent for quickly applying and removing a plethora of finishing products. Rotary buffers use a direct-drive system, giving them a strong rotation that creates a blemish-free, high-gloss finish. However, these buffers come with a caveat. Due to their high power output, rotary buffers can be very difficult to use and are therefore not recommended for first-time users, as they can potentially cause a lot of damage to the car’s paint job. Next up are orbital buffers, which are widely considered to be the best choice for at-home detailing. They are easier to use and much easier to master, since they output less power than rotary models, making them ideal for non-professionals. For those looking for as close to showroom quality as possible, it’s probably best to go with a standard orbital buffer, as opposed to a random oscillating version. Random oscillating buffers move in a random pattern, making them less intense and much safer to use on a car’s paint and finish, though they don’t produce results that come near that of rotary buffers. Standard orbital buffers are less expensive than rotary versions but contain enough power to get the job done comparably. Because they are so user-friendly, there is a nice assortment of orbital buffers to choose from on the market today, making the selection process easier and harder at the same time. Dual Action buffers, also referred to as DA buffers, contains a motor and drive unit that oscillates in random circular motions, ensuring that it is virtually impossible to apply too much pressure in any one place, placing them among the safest tools to use on the most precious of paint jobs. This makes them super popular with people who may not quite be as confident in their abilities, and want to eliminate as many variables as possible. Dual action buffers also tend to be on the more lightweight side of the fence, making them even more user-friendly than their orbital counterparts. It should be pretty clear now that both dual action and orbital buffers are quite a bit safer than rotating buffers because of their lower power output, resulting in them being incapable of possibly catching and removing paint. This reduced amount of power, while making them very these newbie-friendly, are only really useful in removing fine scratches, or for waxing and light polishing. Rotating buffers, on the other hand, are made to eliminate deep scratches and blemishes, making them suitable for professionals or those users who have a fair amount of experience with buffers. Before making the final choice, it’s important to take into consideration the rotary buffer increase cost and higher learning curve. For basic, at-home use, the best option, as well as the most cost-effective one, is likely going to be an orbital or dual action buffer. Once some experience and confidence are gained, though, the finished result form a rotary buffer is always going to be superior. Better Results – Waxing by hand can definitely produce high-quality results, and is certainly a labor if love, but it really goes without saying that investing in a high-quality electric buffer is a must-have for superior results. When polishing by hand, it is virtually impossible to be able to get all of the little minuscule particles. An average car buffer can produce up to 6,000 oscillations per minute at a consistent pace, which is something that cannot be matched by manual effort. Time and Money Savings – Two of the biggest reasons to having a buffer at home involve time and money. Polishing the car by hand will take twice as long as a buffer, and will almost always result in too much polish being used, thereby driving up the cost of maintenance. A car buffer will be able to do a better job with only a thin coat of polish. 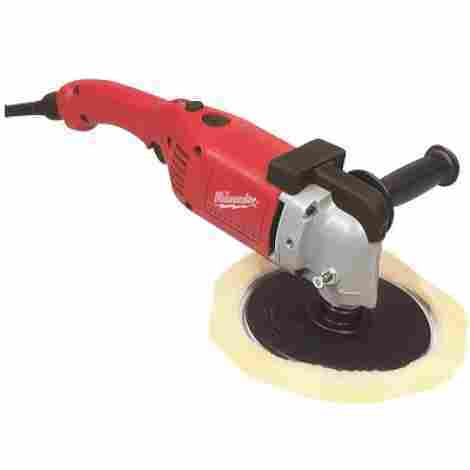 Versatility – Electric and pneumatic buffers can be used with a variety of different polishing pads and heads, as opposed to polishing by hand, which gives limited options. This lends the buffer a lot of versatility, giving the user greater control over the appearance and finish of their car. Safe for your vehicle – With the exception of rotary models, car buffers can be safely used with as much force as you need to apply without worrying about getting down to the actual paint layer. This way, you can polish your car until you can see your face in it, if you so choose, and the paint will remain perfectly intact. Great Learning Tools – For those who want to use a buffer, but don’t want to risk the integrity of their car’s paint job, orbital and dual action buffers have a very easy learning curve. It is next to impossible for new users to go “too hard,” ensuring that the end result will always be worth the effort. Plus, this helps them learn to intricacies of polishing their cars, letting them make the switch to rotary buffers in no time. Preserve the car’s finish – Even the most professional paint jobs will begin to fade and degrade, and the most effective way to prevent this and prolong the lifespan of the finish is regular waxing. If this simple upkeep is not performed, your once red car will begin to fade to orange very rapidly. Buffing and polishing are simple tasks that will keep your car looking as good as the day it was first driven off the lot. Maintain the Value of Your Car – Usually coming in second only to buying a home, a car is a huge investment that should be taken very seriously. Special measures can be taken to ensure the well-being of your vehicle, such as using a car buffer to properly maintain the paint job. This also works to maintain the value of that investment, not only for the time that you own the vehicle, but also If you ever hope to resell your vehicle for the highest possible resale value. Price is a big one when it comes down to figuring which car buffers are going to be the best bang for the buck in terms of performance versus value. This is largely because of the multiple types of buffer that are pretty much evenly distributed among the market. Not only that, but there is a significant difference between the three types when it comes to ease of use as well as quality. The three buffers in question are rotary, orbital, and dual action. Each one performs in similar manner, and produce a high-quality finish, but they also come with their own set of rules as far as how to use them. Because of all of that, the price can differ quite a lot from type to type. The rotary buffer is usually going to be the first one you see when it comes to expensive, high-end buffers. It’s also the one that the vast majority of professionals turn to when they want to get the job done right. They contain a very powerful motor that produces a huge amount of maximum torque output, and all of the features needed to leave the car’s paint job sparkling like the first day it left the showroom. Unfortunately, these buffers come with a very steep learning curve, and can take a very long time to work out all the bugs and really master. When operated by an untrained or inexperienced user, there is a better than average chance of causing permanent damage to the car. For this reason, the higher price tag has the added benefit of acting as a deterrent to all but the most experienced veterans. For those users who are scared away from attempting to use a rotary buffer, at least right away, the orbital buffer was designed just for them. These ones have a bit less power and a smaller engine, which can make a big difference in the price tag. In the world of automotive tools, lees power generally means less cost, which can only benefit consumers. A less attractive aspect of these buffers is that the lower performance means that an ultra durable shell isn’t deemed as important, so the orbital buffer won’t last as long as rotary models. However, a neat side effect of this reduced power is a marked increase in precision. There are fewer oscillations per minute, so users can take their time, paying attention to every scratch or blemish, leading to an equally impressive finished product. The dual action buffer offers the best of both worlds, and actually makes them the preferred choice for beginners. These buffers stress safe use, since their random oscillation delivers power to spare, while making it extremely unlikely to ever go too hard and scratch the paint. Because they are so attractive as entry level buffers, they do tend to be among the cheapest choices on any list. This makes it easy for anybody to achieve a top quality shine, with just a few dollars and a little bit of effort. Now, at the end of the day, waxing and polishing your car by hand is going to be the cheapest option by far, but by no means can it ever be considered the most cost effective. Sure, it only requires a minor investment of some polish and a towel, but to get a finish that even comes close to professional quality takes hours of hard work. Electric buffers, on the other hand, provide a far superior outcome with much less work and time required form the user. So, in terms of being cost-effective, rotary, orbital, and dual action buffers are essentially on an even playing field. Whats the Specific Purpose of the Car Buffer? This is more of a personal criteria to take in to account before taking the plunging and spending potentially hundreds of dollars on a shiny new car buffer. If you’re an average car owner who sees their vehicle as a means of getting from point A to point B in as efficient a manner as possible, and nothing more, then maybe an electric car buffer isn’t the way to go. In this case, just taking the vehicle through an automatic car wash every once in a while will probably suffice, giving you the results you’re looking for. If, however, your car is a reflection of who you are, and nothing is too good for it, then a car buffer is probably going to serve you very well. They are capable of buffing out any blemishes and small scratches that otherwise mar the paint finish, and then switch to apply a sparkling wax finish. Now, car owners can take their cars in to professional auto detailers, but with the quality of buffers on the market today, they can achieve the same results at home by doing it themselves. This does take a little bit of practice to master, and a lack of experience can cause damage to the vehicle, but with patience and proper instruction, the car will be showing off that shine in no time. Abrasive: Particles, either natural or synthetic, that are added to polishes in order to essentially scratch paint surface to remove imperfections. These are very fine particles, and will not do any real damage to the paint, as they are buffed out. Buffer: A hand-held tool, either powered electrically or pneumatically, that applies polished and waxes to the car’s surface. This allows users to get a high-quality finish in a very efficient and timely manner. 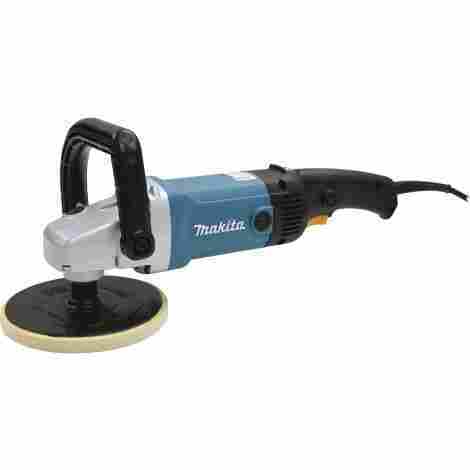 These tools operate at a high speed, using pads and polish to remove minor scratches. Car wax: Wax is used mainly as a band-aid for the car’s finish. Instead of actually removing scratches, waxes work to fill them in and make them invisible to the naked eye. However, this is not a permanent solution, and will quickly wear off as the car is exposed to the elements. The hardest and most durable wax known to man is carnauba wax, which is derived from palm trees. Compound: This is an abrasive that is applied to the car to remove any oxidation, scratches, or imperfections from the body. This is the first step in the detailing process. Detailing: A very intricate and involved process of cleaning a vehicle part by part. Most detailing is done on the interior, through exterior detailing can consist of waxing the paint, polishing the chrome, and washing the wheel wells and tires, all in order to maintain the condition and value of the car, as well as produce an attractive shine. Orbital buffer: A buffer that oscillates in an elliptical pattern as opposed to a fixed rotary motion. Orbital buffers most closely mimic the movement of the human hand, and are exceptional fort eh waxing process. Oxidation: As the car’s paint is exposed to the elements, it will gradually begin to lose its natural oils, resulting in a dull, chalky finish that is rough to the touch. Polish: A product with lightly abrasive properties designed to actually smooth out and remove scratches and blemishes found on the surface of the paint, instead of just masking them. Rotary buffer: A type of buffer in which the head rotates in a fixed circular motion. This causes friction, which can in turn heat up the surface of the paint and allows the user to actually correct any anomalies in the paint itself. These buffers are also capable of removing deep scratches than a dual action or orbital buffer. Q: What is a Car Buffer? Car buffers are machines designed to give your car professional quality finish while delivering the best possible results. Usually powered by either electric or pneumatic motors and featuring orbital or rotating heads with specialized polishing pads, car buffers can make a car sparkle in a matter of minutes. Q: What are car buffers Used For? In addition to bringing out the dark, rich color of your car’s paint and making it shine and sparkle in the sun, car buffers can also help protect your car from the elements and prevent small rust blemishes from becoming noticeable problems. Q: Should I use a Car Polish or a Car Wax? Before that question can be properly answered, we get into the various types of car buffers, let’s take a look at the differences between car polish and car wax. Car waxes are used to protect vehicles from the elements, make them shine, and bring out the gloss of their paint. Car polish, however, is used remove scratches and any blemishes found in the paint finish. With that being said, both products should be capable of achieving the same results when correctly applied, quickly transforming a dull paint job into showroom quality shine. Q: How do I wax a car with a buffer? Work in the Shade – Make sure not to try to buff and wax the car under the glare of the sun, as the wax has a habit of drying too fast in that situation. Now, while using the shade is important, it’s a good idea to avoid working underneath a tree, in order to avoid falling leaves and bird droppings. Wash the Car – Always wash the vehicle prior to attempting to wax it, and ensure that it is completely dry. Also, take care to be as thorough as possible, in order to ensure that no soapy residue is left behind. Apply the Wax – Once the vehicle is clean, dry, and residue free, it’s time to apply the wax and buff it in. To begin, apply the wax to the buffer pad and then begin working it into the cars paint finish using a wide circular motion. It’s important not to apply too much pressure on the buffer, thus avoiding the chances of the buffer damaging the paint. The buffer should easily glide across your car’s surface without needing to push too hard. Allow the wax to completely dry, which should leave it looking hazy and cloudy. Buff the Car – Once the wax has dried, attach a wax removal cloth to the buffer, and then begin buffing the dried wax off using big smooth strokes. Never buff in a circular pattern as this may leave swirls in the paint. Similar to when you’re applying the wax, remember not to apply too much pressure when buffing. Q: Do I actually need a car buffer? That all depends on how much effort you really want to put into getting a showroom quality shine on your vehicle. To help you make that decision there are a few factors to consider, such as speed, weight, price, maintenance, and ease of use. All of these can vary greatly between the different models available, in which case you need to weigh each factor against the others in order to figure out if a professional grade car buffer is the way to go for your needs. Automotive Detailing – Baffled Over Car Buffers? Cars Direct – Car Polish and Wax: Are They the Same? Which Comes First?